With a world first, China is closing in on “space power” status. 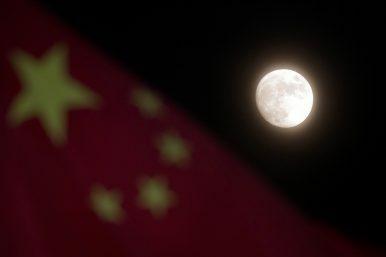 China’s burgeoning space program achieved a first on Thursday: a landing on the so-called dark side of the moon that brings the country closer to its goal of becoming a space power. Three nations — the United States, the former Soviet Union, and more recently China — have sent spacecraft to the near side of the moon, which faces Earth, but this landing is the first-ever on the far side. The landing highlights China’s growing ambitions to rival the United States, Russia and Europe in space, and more broadly, to cement the nation’s position as a regional and global power. In year-end wrap-ups, Chinese media and officials hailed the December 8 launch of Chang’e 4 as one of the nation’s major achievements in 2018. The landing on Thursday was announced to the public by state broadcaster CCTV at the top of the noon news. The ambition to land on the far side of the moon was articulated by China’s space agencies years ago, and 2018 was set as the year when they would launch. And here we are, in 2018, with another Chinese space mission goal achieved as per the deadline set. This meeting of deadlines set has been the trajectory of China’s unmanned (1999) and manned space missions (2003), its space stations, the Tiangong 1(2011) and Tiangong 2 (2016), as well as the indigenously built cargo spacecraft, the Tianzhou 1 (2016), which docked with the Tiangong 2. China conducted its first crewed space mission in 2003, becoming only the third country to do so after Russia and the United States. It has put a pair of space stations into orbit and plans to launch a Mars rover in the mid-2020s. Its space program suffered a rare setback last year with the failed launch of its Long March 5 rocket. By Ken Moritsugu for the Associated Press, with additional reporting from The Diplomat.